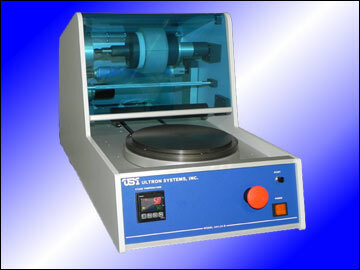 Ultron Systems’ Model UH110 and UH110-8 Semiautomatic Film Removers demount film from 3″ to 8″ wafers after the backgrinding or etching process. The virtual 180° peeling angle ensures more efficient peeling and lower stress on the wafer, resulting in higher yields. Both systems outperform time-consuming hand removal at a fraction of the cost of fully automatic equipment. Throughput is as high as 200 wafers/hour. 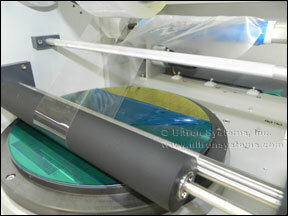 The standard Model UH110 can accommodate up to 6″ wafers, while the Model UH110-8 handles 8″ wafers and smaller. Adjustments from one size wafer to another can be made in seconds by simply changing the workstage. Push-button operation assures ease of use with all operator variables eliminated.